The unauthorized color scheme reportedly appeared around the time of the Umoja Fest last weekend, and more than a month after the city unveiled 11 rainbow crosswalks on Capitol Hill to celebrate gay pride. 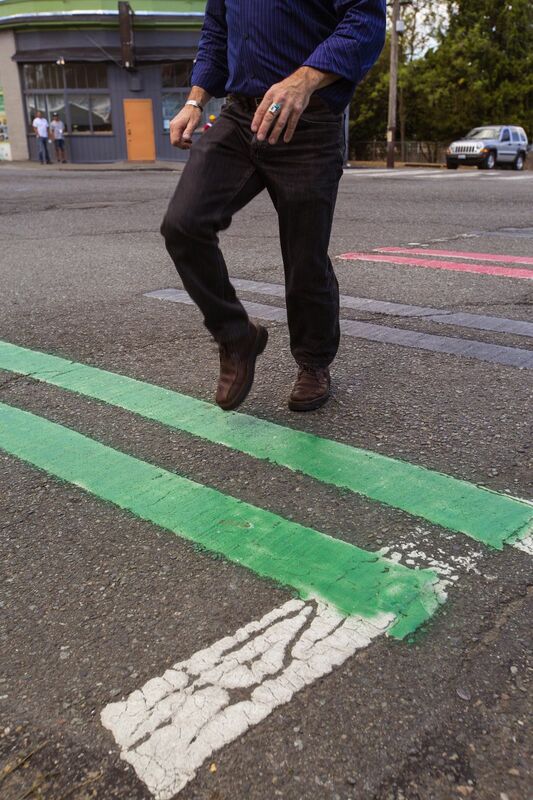 Seattle officials on Thursday said they will work with members of the Central District community to permanently paint crosswalks to honor the area’s history, a move that follows a similar city-led project on Capitol Hill to celebrate LGBTQ pride. 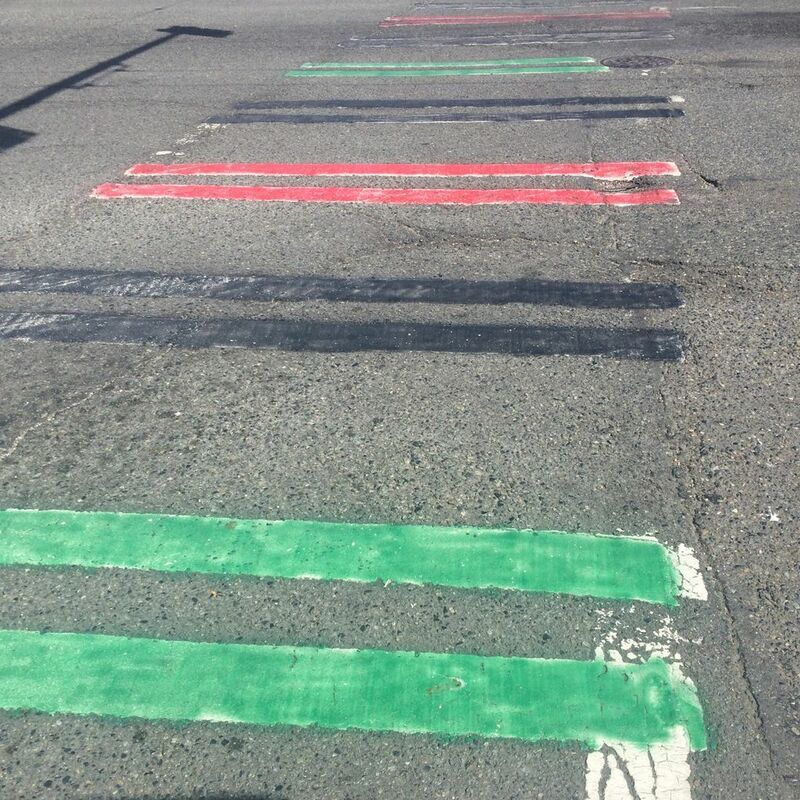 In an unauthorized spray-paint job, four crosswalks in the area were painted around the time of the Umoja Fest last weekend with red, black and green stripes, colors said to represent the Pan-African flag. 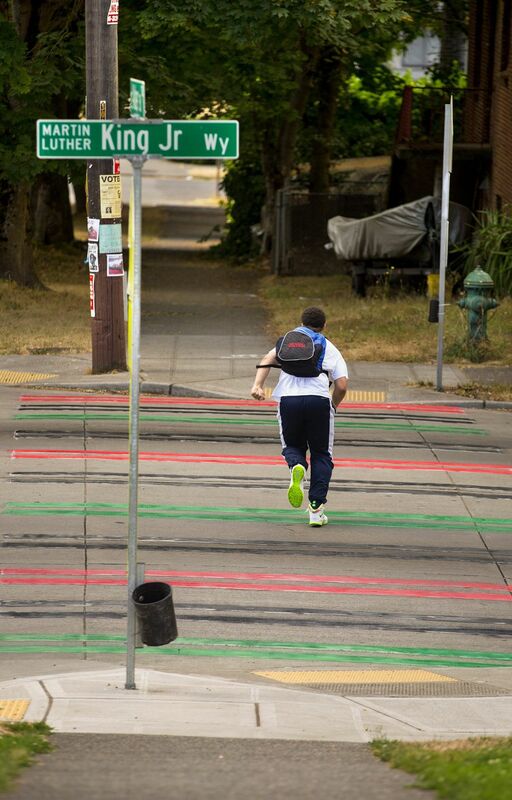 The city unveiled 11 rainbow crosswalks in Capitol Hill in June that cost $66,000. 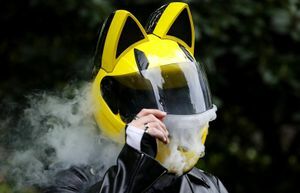 Scott Kubly, director of the city’s department of transportation, said that before the latest color scheme in the Central Area, city officials were discussing ways to create permanent designs to honor the community’s history and legacy. Seattle Mayor Ed Murray set aside $50,000 in his latest budget to add community identifiers to the area, he said. Kubly said the city plans to work with the community in the coming weeks to finalize locations and layouts. In the meantime, city workers will put temporary tape on the crosswalks to restore their reflectivess. 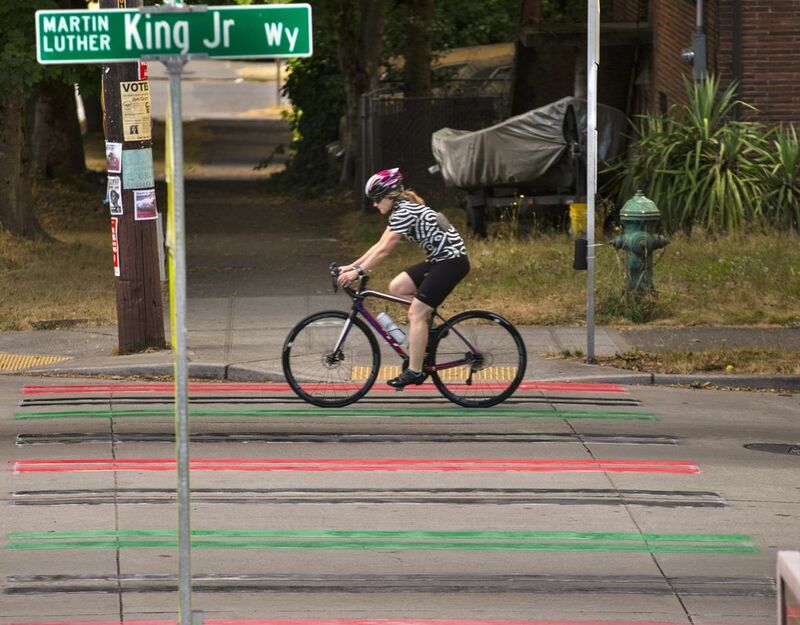 A community group, United Hood Movement, is taking at least partial ownership of the Central District crosswalks’ new look, calling it a statement against the area’s gentrification and part of an effort to unify the community. It’s unclear who exactly did the painting, and police aren’t looking to make any arrests. Shillia Williams, who lives nearby, said she’s worried that the reduced visibility compromises people’s safety, especially at night. “I think they should paint it back white,” she said. 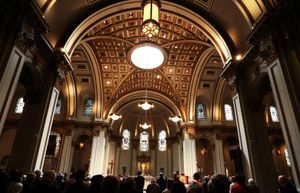 Sheley Secrest, an executive officer with Seattle King County NAACP, said the plans to add city-approved designs is a victory for community members who want their surroundings to match their history. 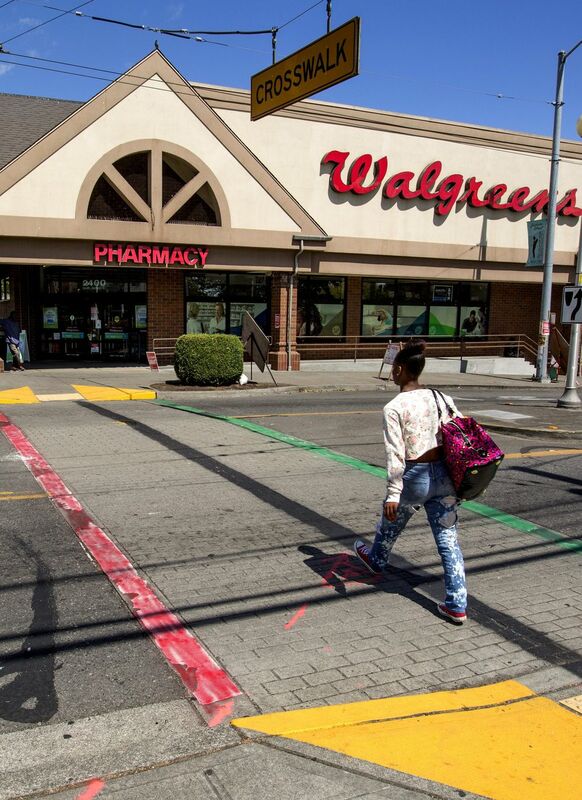 “As long as the rainbows are still there, there’s no reason a cultural sidewalk shouldn’t be here,” said Nala Taylor, a Central District resident who lives near one of the newly painted crosswalks.